There is still a much higher than typical trend of office vacancy across Canada. In the western part of the country, much of this can be attributed to the trickledown effect of the dramatic drop in oil prices not that long ago and other underperforming commodities. When the prices of potash or uranium are down, for example, there are many other industries that may contract in turn with the decline. Saskatoon’s downtown office sector is improving but it’s been a slow climb. 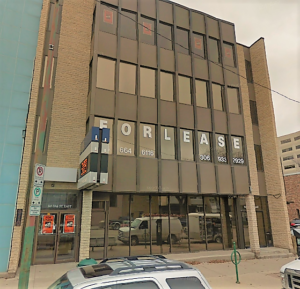 Saskatoon’s competitive downtown vacancy is 15.6 per cent; this compares to our reporting of 15.7 per cent at the end of the first quarter this year. Vacancy is 11.9 per cent in Regina which is a substantial improvement from 12.4 per cent in the first quarter reporting. Many large urban centres continue to see high vacancy in their downtown office inventory. Ottawa and Montreal are still at 11.5 and 12.4 per cent, respectively. And there is no doubt certainly higher vacancy for our oil dependant neighbours in Alberta. Edmonton has 16.9 per cent vacancy, while reports indicate Calgary is 21.7 per cent. Only markets like Toronto (7.3 per cent) and Vancouver (9.2 per cent) are below the double digits. Absorption is fairly easy to measure. We consider the full amount of inventory, be it existing or new, against done deals. Sometimes the math cancels itself out; if a tenant vacates location A for location B they may leave a vacancy while filling another. Saskatoon currently has a positive absorption of 11,887 square feet for 2017, which makes sense given the vacancy rate has only dropped moderately. Regina has had absorption of 97,011 square feet so far. Even in markets like Montreal, where they’ve experienced 1,162,390 square feet of absorption to date, they have a lot of vacancy to chew away at to bring their rate down. Most cities outside of Edmonton and Calgary will end 2017 with positive absorption. With less inventory coming to market I’m hopeful that the vacancy rates will improve at their current pace as we head into the fourth quarter this fall.